Taber Thill joined Colliers International in 2001 as an office broker specializing in leasing, sales and consulting services. Clients benefit from Taber’s expertise in lease renewals, lease restructure, expansion/contraction, relocation, strategic planning, site selection, lease/financing negotiations, acquisitions, and dispositions. Taber has completed more than 700 lease and sales transactions valued over 1 billion dollars. Over 90% of his business is generated from repeat clients and referals. In 2007, Taber was inducted into the Society of Industrial and Office Realtors (SIOR), the premier real estate organization in the world, where membership is secured through invitation only, and earned by tenured performance and the strictest adherence to the highest ethical standards. These requirements ensure that SIOR designees possess a standard of expertise and knowledge unmatched by competing brokers in local, regional, or national markets. Taber is currently on the Board of Directors for Links for Life Foundation, a non-profit charitable organization dedicated to raising and distributing funds for local children and children’s charities. Taber is also on the Board of Directors for Junior Achievement, where he sits on the finance committee. 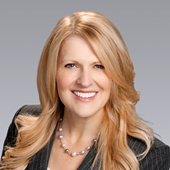 Patti Dillon is a Senior Vice President in the office division of the Colliers International Las Vegas office. She has over 18 years of experience in commercial real estate resulting in millions of square feet being lease and sold for a notable client list. Patti is experienced in all aspects of office real estate including investment sales, acquisitions, comparative financial analysis, site selection, real estate consulting and landlord and tenant representation. Patti’s clients include Odyssey Real Estate Capital, Equity Office Properties (Blackstone), Marnell Properties, JMA Realty, TA Realty, Del Mar Partnership, Crescent Real Estate Equities, Staples, FedEx, EJM Development, Dornin Investment Group, MCA Realty, Bellagio, and XO Communications. Her team’s combined experience in the disposition and leasing of commercial office space and tenant representation is unmatched in the Las Vegas market. Since she and her partner joined forces in 2010, they have completed over 450 deals (over 5.1 million square feet) in lease and sales transactions. This exceptional effort resulted in a total transaction value of $670M. Landlords and tenants alike are confident that by relying on this team’s proven track record and extensive knowledge of the Las Vegas office market, they will receive unsurpassed service and results. 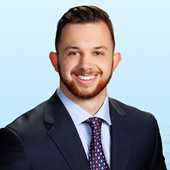 Logan Etherington is an Associate to Taber Thill, SIOR and Patti Dillon, SIOR in the Office Division of Colliers International. Prior to coming to Colliers International, Logan worked for Realty Executives specializing in buyer representation. Logan's role includes representing owners and tenants in the sale and leasing of all office property types. In addition, Logan implements the marketing campaigns for all team assignments, sustains web-based data reports, and supports client communications. Logan was born and raised in Las Vegas. He attended the University of Nevada Las Vegas where he majored in Economics with a focus on data analysis. Logan is an active member in his community volunteering for organizations such as Three Square, Miracle League, and the St. Judes Ranch for Children.